The popular design event is back with a killer speaker lineup. OFFSET Dublin is just around the corner. This year's event will run from 23-25 March, and Creative Bloq will be there, reporting on all the news (keep an eye on our Twitter feed for updates). 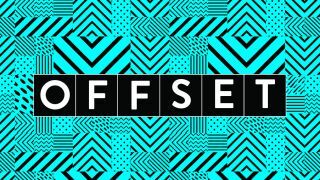 OFFSET is known for bringing together key disruptors and influencers in the creative industries, and there are some killer names on the lineup this year. Read on to find out which speakers we can't wait to hear from. Gail Bichler is a force to be reckoned with in the world of editorial design. She made her name freelancing on the New York Times' associated magazines (including T, The New York Times Style Magazine, and The New York Times Sunday Magazine) before landing a coveted role as is design director at The New York Times Magazine. Gail will be sharing insights from her impressive career on the main stage on Thursday. And with nods from everyone from ADC, to AIGA and The Type Directors Club, not to mention a D&AD Graphite Pencil (for her work on the 2017 Music Issue shown above) and a spot in the permanent collection of The Art Institute of Chicago to her name, this talk is not one to miss. Whilst running Hudson-Powell, Luke Powell and Jody Hudson-Powell turned their hand to everything from brand identity to motion graphics, interactive design, creative technology and immersive experiences. After more than a decade successfully running their creative studio, the duo made the decision to join Pentagram, where they're continuing to expand their already seriously diverse portfolio of work. Talking to OFFSET ahead of their slot at the conference, Jody commented on how they've managed to rack up such an impressive range of skills. "We don’t aim to have a ‘look’ or single approach," he explained. "If there’s one thing that is true across all our work is how we’re always looking for opportunities in projects to work in new ways to find unique outcomes for our clients." Luke also revealed that one of the secrets of their success is that, as brothers, they are naturally very honest with one another. "We implicitly trust one another and so immediate approval is complete and never half-hearted or pressured. The flip side is that our disagreements and criticisms can sometimes be more brutal (and occasionally stubborn) than might otherwise be normal," he said. "Ultimately though, this means we always critique our work thoroughly, which is a good thing for clients." The duo's talk promises more insights into their work, approach, and enviable client list. Richard Brim is part of a new wave of leaders at advertising studio Adam & Eve/DDB, and is the man behind some of the most high-profile TV ads of recent years. Campaigns including Sorry, I Spent It On Myself for Harvey Nichols, and the Monty the Penguin, Buster and 2017's Moz the Monster for John Lewis have marked him out as a talent to be reckoned with, and earned him widespread acclaim within the industry. This talk will explore how his fresh look at brand promotion has won Richard spots in the Guardian's UK’s top 100 creative innovators, AdAge’s 40 Under 40, and Creative Review’s 50 Creative Leaders. You can pick up tickets for OFFSET Dublin 2018 here.